Javier leads the Public Innovation Team in the National Planning Department (DNP) of the Colombian government. Lee este blog en español abajo. The Equipo de Innovación Pública (EiP) is the innovation team within the Colombian National Department of Planning (DNP), a ministry-level agency that supports policy development and evaluation across the entire government of Colombia. Jesper: At Nesta, we have so many different examples of innovation teams and one thing is for certain: they always develop and grow as a unique ‘product’ of their environment. What would you say are some of the unique elements of the Colombian context that influence your work? Javier: There are some elements of the Colombian context that have been key for us since the creation of the team. First, Colombia seems to be facing a ‘critical juncture’. The recent signing of the peace agreement with FARC may be the most important manifestation of this. The situation has led many of us to dare imagine a Colombia that is not submerged in the tragedies of war. Second, the density of diversity in Colombia is very high and it implies complex policy challenges when it comes to promoting equity, inclusion and sustainable development. We have a very diverse geography, with territories that vary widely in socioeconomic, cultural and ecological dimensions. This is very inspiring in terms of the potential to generate creative responses to social and environmental challenges but also a formidable force, as specificities of local contexts cannot be ignored. In the EiP, we believe that more effective responses from government can be delivered only if those who experience challenges first-hand are more actively included in the design (or re-design) of public policies, programmes and services. Because the DNP helps to structure policy design and evaluation processes, we have the opportunity to inspire and support public servants in experimenting with new ways to engage with citizens in the pursuit of public value. Jesper: There are many versions of so-called 'policy labs' around the world. What has been your journey and which direction are you heading now? Javier: A lot of our journey so far has consisted of understanding what level of ambition we need to have as a team, in order to manage resources strategically. We have invested a lot of energy into understanding our institutional context to figure out which role we can play in it. With the help of Nesta, we have recently confirmed that ‘experimentation’ is a term with a lot of potential to bring the concept of innovation into practice, in a language that everyone—citizens, bureaucrats and politicians—could share. We are promoting an interpretation that sees experiments as structured processes in which ideas are generated and tested but also about the principles and conditions that enable it, including the required mind-set. We believe our role is that of an 'enabler of experimentation'. We have come to define our unit as a government 'search-up', following the terminology of Zavae Zaheer and his argument around search-ups vs. start-ups within the private sector. By 'government search-up', we mean a team that gathers and shares evidence on processes, outputs and outcomes of public initiatives, based on an experimental mindset. We do this to foster collective learning and enable experimentation to happen more, and generate more public value, in government. Jesper: One of the things that Zaheer highlights is the problematic tendency of rushing to come up with scalable ideas that results in premature uptake of ideas that fail or do not go anywhere. How do you see this in the context of your role? Javier: We have understood that our role is to enable a more strategic and systematic use of experimentation in government, in order to achieve more effective and efficient responses to complex public challenges. A first and major step in the journey has been working with other public servants to carry out projects that address relevant policy issues through experimental approaches. We are now using this experience to engage our organisation and other key allies in the Colombian innovation ecosystem to develop a long-term strategy for promoting public innovation in our country. Jesper: Your systematic focus on learning is something that is often missing within government yet this brings a risk of becoming a detached and non-influential think-tank. How are you thinking about dealing with this sort of challenge when creating value? Javier: Connecting the evidence that results from experimentation with decision-making processes in government is not an easy feat. This is especially true when evidence comes from 'failure', a word that governments find hard to digest. However, in our eyes, truly failed experiments are only those from which we do not learn. Questions we are tackling in practice are how to turn failure into lessons and insights, and how then to bring them to the eyes and ears of decision-makers across different levels of government. This needs to happen at the same time as new ways of engaging citizens are explored and promoted, to involve them as key allies of government agencies in experimental processes. 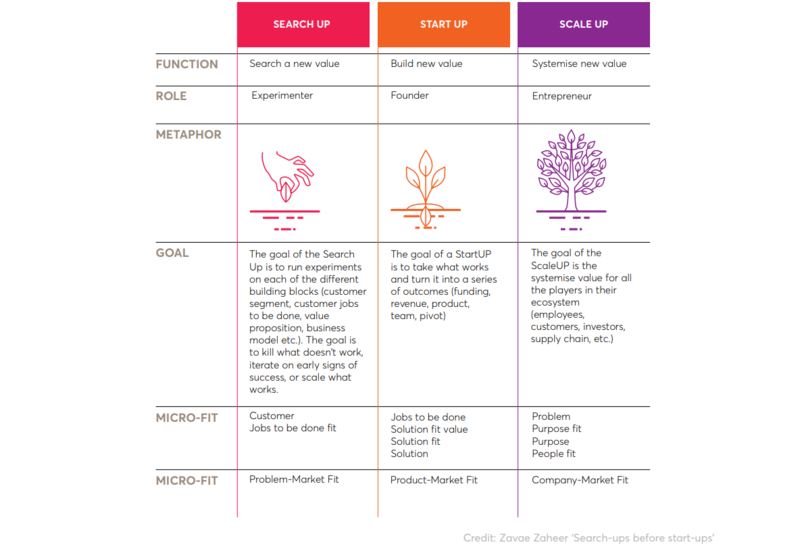 Jesper: Speaking of impact and value-creation, your new model seems to be significantly different by focusing on embedding innovation strategically. What challenges do you see in taking this approach? Javier: In practically all the scenarios where we have presented the potential of experimentation for creating public value, we have heard about the fear of the control and oversight agencies of the Colombian government. The fear of being singled out for misusing public funds as a consequence of experimenting is an important obstacle for consolidating an experimental mindset in government. In Colombia, that fear is attached to a perception that the law will be strictly and narrowly interpreted. Therefore, there is pressure to collectively build an understanding of the value of experimentation together with these agencies as well as citizens. Experimentation brings value, insofar as it helps to face uncertainty productively. It does so, as Marco Steinberg would describe it, by helping us to transform uncertainty into risk management. We think that having a conversation on what having an experimental mindset means, and bringing experimentation into practice in ways in which the value of learning can be assessed, are likely approaches to dissolve this perceived paradox between control and experimentation. Jesper: It has been so interesting to work with your team focusing on developing your team role, project portfolio and innovation strategy. 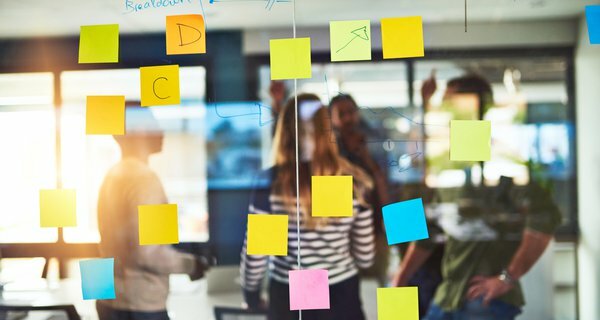 What is next for you and your team? Javier: The first big milestone in the road ahead will be to co-create a strategy for promoting public innovation in Colombia. This is the strategy that we hope will be reflected in the next National Development Plan. Also, we are aiming to consolidate our enabling role as a government search-up by working on new projects, where we are combining the use of behavioural insights and design approaches. However, our most pressing challenge still comes from within: we are a team of four facing enormous demands, complexity and resource constraints. Working together as a team requires recognising what our capabilities are, nurturing them, and working with others to complement them and create value together. 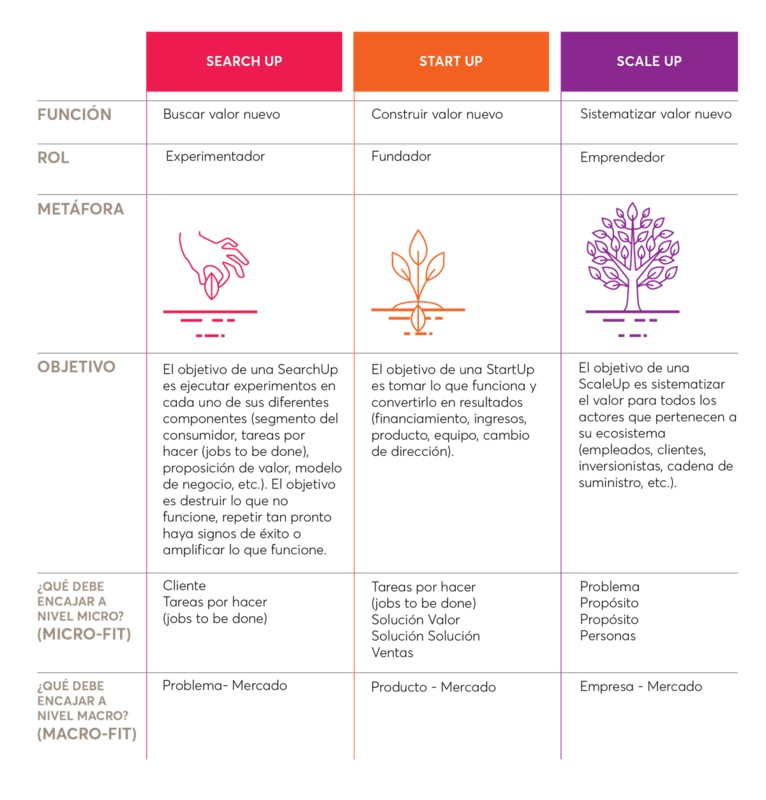 One of our main references is the competency framework for public innovators proposed by Nesta, which we have found useful to face this challenge in practice. We believe in the need for intensifying collaboration and share learning. We are excited to be an active member in the States of Change learning collective. We think we have a lot of potential to learn from and with other public innovation initiatives that have emerged in Latin America in recent years. 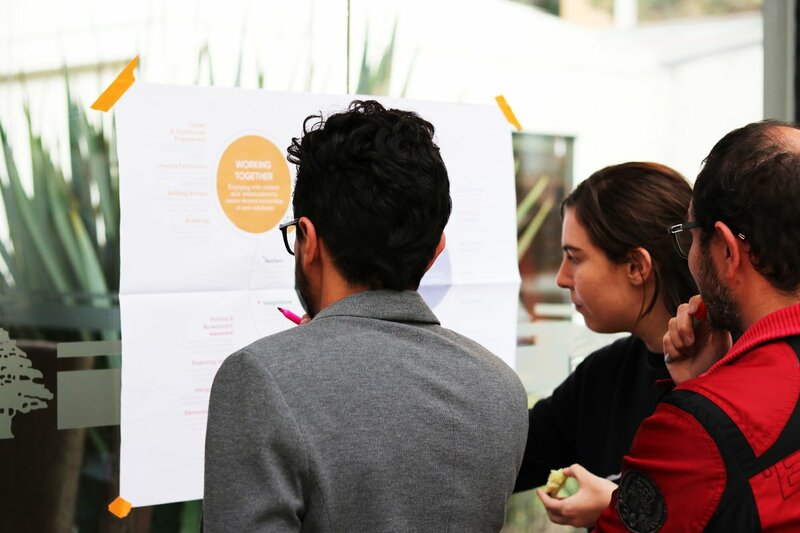 Further down the line, we hope to see the EiP as a node in a vibrant network of teams devoted to promoting public and social innovation in Colombia. Actual structural change will only come if we work in a coordinated fashion, and the conversation becomes genuinely inclusive. El Equipo de Innovación Pública (EiP) es el equipo de innovación del Departamento Nacional de Planeación (DNP), una agencia a nivel ministerial que apoya el desarrollo y la evaluación de políticas públicas a lo largo de todo el gobierno colombiano. 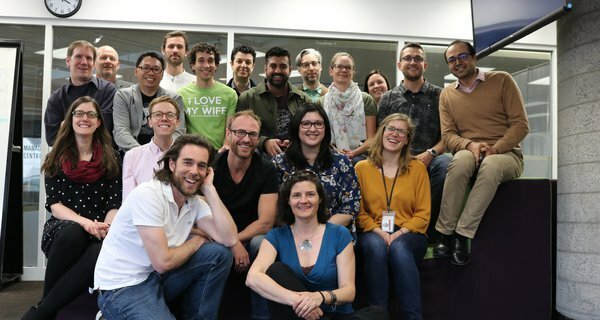 Con el apoyo del Newton Fund y del British Council Colombia, Nesta ha estado trabajando con el EiP y el DNP como parte de la iniciativa States of Change (Estados de Cambio), con el fin de respaldar los esfuerzos del equipo por desarrollar una mayor capacidad de innovación al interior del gobierno colombiano. Nos reunimos con el líder del EiP, Javier Guillot, para conversar acerca la transformación del equipo. En el siguiente blog se puede encontrar un resumen de esta conversación, la entrevista completa puede ser descargada en el siguiente link. Jesper: En Nesta tenemos muchos ejemplos distintos de equipos de innovación, y una cosa es segura: siempre se desarrollan y crecen como un “producto” único de su ambiente. ¿Cuáles dirías que son algunos de los elementos únicos del contexto colombiano que influyen en su trabajo? Javier: Hay algunos elementos del contexto colombiano que han sido fundamentales para nosotros desde la creación del equipo. Primero, Colombia parece estar ante una “coyuntura crítica”. La reciente firma del acuerdo de paz con las FARC es quizá su manifestación más importante. Esta situación nos ha llevado a muchos a imaginar una Colombia que no esté sumergida en las tragedias de la guerra. Segundo, la densidad de la diversidad en Colombia es muy alta e implica complejos desafíos de política pública a la hora de promover equidad, inclusión y desarrollo sostenible. Tenemos una geografía muy diversa con territorios que varían mucho en sus dimensiones socioeconómica, cultural y ecológica. Esto es muy inspirador por el potencial de generar respuestas creativas a retos sociales y ambientales, pero también es una tarea inmensa, pues no es posible ignorar la especificidad de los contextos locales. En el EiP creemos que para que el gobierno responda de forma más efectiva es indispensable involucrar más activamente en el diseño (o rediseño) de políticas públicas, programas y servicios a aquellos que experimentan los retos de primera mano. Puesto que el DNP ayuda a estructurar el diseño y los procesos de evaluación de política pública, tenemos la oportunidad de inspirar y apoyar a los servidores públicos en la experimentación con nuevas formas de interactuar con los ciudadanos en la búsqueda del valor público. Jesper: Hay muchas versiones de los llamados “laboratorios de innovación” alrededor del mundo. ¿Cómo ha sido su proceso y hacia dónde se dirigen actualmente? Javier: Hasta ahora, buena parte de nuestro proceso ha consistido en entender qué nivel de ambición requiere nuestro equipo para gestionar estratégicamente los recursos. Hemos invertido mucha energía en entender nuestro contexto institucional para comprender qué papel podemos tener en él. Con la ayuda de Nesta, confirmamos recientemente que el término ‘experimentación’ tiene un gran potencial de llevar el concepto de innovación a la práctica, por medio de un lenguaje que podría ser compartido por todos —ciudadanos, burócratas y políticos—. Estamos promoviendo una interpretación que ve los experimentos como procesos estructurados en los que se generan y se ponen a prueba ideas, en la cual se incluyen los principios, las condiciones y la mentalidad que hacen posible la experimentación. Creemos que nuestro rol es ser un facilitador de experimentación. En este sentido, hemos llegado a definir nuestra unidad como una search-up, siguiendo la terminología de Zavae Zaheer y su análisis sobre las diferencias entre search-ups y start-ups en el sector privado. Cuando hablamos de una “search-up gubernamental” nos referimos a un equipo que recolecta y comparte evidencia sobre procesos y resultados de iniciativas públicas basadas en una mentalidad experimental, con el fin de promover el aprendizaje colectivo, facilitar una mayor experimentación y generar más valor público en el gobierno. Javier: Hemos entendido que nuestro papel es facilitar un uso más estratégico y sistemático de la experimentación en el gobierno, con el fin de lograr responder de forma más efectiva y eficiente a retos públicos complejos. Un primer e importante caso en este proceso ha sido trabajar con otros funcionarios públicos para llevar a cabo proyectos en los que se emplean abordajes experimentales para abordar asuntos relevantes relacionados con la política pública. Actualmente, estamos usando esta experiencia para involucrar estratégicamente a nuestra organización y a otros aliados claves en el ecosistema de innovación colombiano, para desarrollar una estrategia a largo plazo que promueva la innovación pública en nuestro país. Jesper: Su enfoque sistemático en el aprendizaje es algo que a menudo hace falta en el gobierno, pero trae consigo el riesgo de convertirse en un think tank desconectado y no influyente. ¿Cómo han pensado en afrontar este tipo de desafío a la hora de crear valor? Javier: Conectar la evidencia que resulta de la experimentación con los procesos de toma de decisiones a nivel gubernamental no es fácil, especialmente cuando la evidencia proviene del “fracaso”, una palabra difícil de digerir para los gobiernos. No obstante, a nuestro parecer, los únicos experimentos que realmente fracasan son aquellos de los que no aprendemos nada. Entre las preguntas que estamos abordando en la práctica están cómo convertir el “fracaso” en lecciones y entendimiento, y cómo llevarlas a los ojos y oídos de los encargados de la toma de decisiones en los diferentes niveles del gobierno. Esto tiene que ocurrir al mismo tiempo que se exploran y promueven nuevas formas de involucrar a los ciudadanos para convertirlos en aliados claves de las agencias gubernamentales en procesos experimentales. Jesper: Hablando de impacto y creación de valor, su nuevo modelo parece ser significativamente diferente, pues se enfoca en incorporar la innovación de forma estratégica. ¿Qué desafíos ves en este enfoque? Javier: En prácticamente todos los escenarios en los que hemos presentado el potencial de la experimentación para la creación de valor público hemos escuchado sobre el miedo a las agencias de control y supervisión del gobierno colombiano. El miedo a ser señalado por hacer mal uso de recursos públicos como resultado de la experimentación es un obstáculo importante para consolidar una práctica consecuente con mentalidad experimental en el gobierno. En Colombia, ese miedo está ligado a la percepción de que la ley será interpretada de forma estrecha y estricta. Por lo tanto, hay presión para construir junto con estas agencias y la ciudadanía un entendimiento del valor de la experimentación. Jesper: Ha sido muy interesante trabajar con tu equipo y enfocarnos en desarrollar su rol, su portafolio de proyectos y su estrategia de innovación. ¿Qué les espera a ti y a tu equipo? Javier: El primer hito en el camino por venir es participar en la creación conjunta de una estrategia para promover la innovación pública en Colombia. Esta es la estrategia que esperamos que se vea reflejada en el siguiente Plan Nacional de Desarrollo. Además, tenemos como objetivo consolidar nuestro rol como search-up gubernamental por medio de proyectos que combinan el uso de conocimiento conductual y enfoques de diseño. Sin embargo, nuestro reto más apremiante sigue viniendo de adentro: somos un equipo de cuatro que se enfrenta a exigencias, complejidad y una restricción de recursos enormes. Trabajar como equipo requiere reconocer cuáles son nuestras capacidades, nutrirlas, y trabajar con otros para complementarlas y crear valor en conjunto. Una de nuestras referencias principales es el marco de competencia para innovadores públicos propuesto por Nesta, el cual ha resultado útil para enfrentar este desafío en la práctica. Creemos en la necesidad de intensificar la colaboración y compartir el conocimiento. Nos emociona mucho ser un miembro activo del colectivo de aprendizaje States of Change (Estados de Cambio). Creemos que tenemos un gran potencial de aprender de y con otras iniciativas de innovación pública que han surgido en América Latina en los últimos años. Más adelante, esperamos que el EiP sea un nodo en una vibrante red de equipos dedicados a promover la innovación pública y social en Colombia. El verdadero cambio estructural solo llegará si trabajamos de forma coordinada y si la conversación se vuelve verdaderamente incluyente. Nesta has been working with the Colombian government to help develop a national public innovation strategy and build its innovation skills. 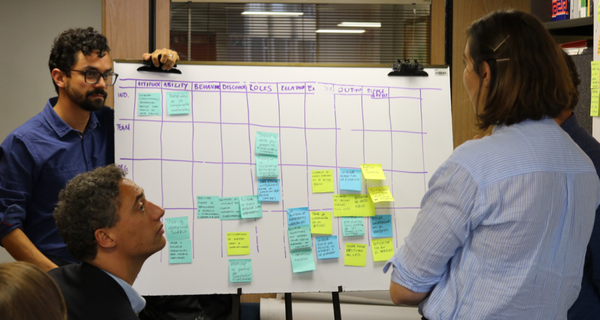 Looking back at the first week of our learning programme for public innovation with the Canadian federal government.